Astoria, Oregon has a past. As the oldest city in the state and the oldest U.S. city west of the Rocky Mountains, the town has over 200 years of history for visitors to explore. In addition to a storied legacy, the Northwest setting is ideal for nature fans to explore the woods, mountains and national parks. Astoria is also a destination for culture lovers, with regular festivals, a thriving theater scene, and the town is an active location for film and television productions. Don't miss all the fun things to do in Astoria, including nearby Warrenton, when stopping by. A visit to the Astoria Column includes great views and a history of the area. You'll be treated to a magnificent view of the town, the river, and the Astoria-Megler bridge, and also be able to see Cape Disappointment, Youngs Bay, Saddle Mountain, Mount St. Helens, and Mount Hood. Enjoy these views from the hill, or after climbing an internal spiral staircase, at the top of the Astoria Column. Don't miss the wall art during the climb which tells the story of the region's history in murals that wind up the structure. Events depicted include the arrival of Lewis and Clark and the initial establishment of Astoria as a fur trading center in 1811. The Columbia River Maritime Museum is an outstanding facility that provides exhibits covering the region's many shipwrecks and much more. Early European exploration, commercial fishing, the Coast Guard, and lighthouses are among the topics covered at the museum. You'll also see a long list of different kinds of vessels, both life-size and models, indoors and out on the river. The museum delves into the importance of the Columbia River as a key route for transportation and commerce. Among the many exhibits are those that explain how the Columbia River bar, where the Columbia River opens to a wide mouth and empties into the Pacific Ocean, became known as the "Graveyard of the Pacific." Among the great state parks found in Oregon and throughout the Northwest, Fort Stevens State Park stands out for the number of things to see and do within its 3700 acres. Located at the northwest tip of the state, the park looks out over the Columbia River and the Pacific Ocean. A magnificent view of the Columbia River bar is available from the South Jetty. History buffs will enjoy learning about Fort Stevens' past, from Civil War times through the World Wars. A self-guided tour takes you around what remains of the fort's buildings and batteries. Other items of historic interest include a Native American longhouse and the Peter Iredale shipwreck. Fort Stevens State Park visitors will also find plentiful camping and outdoor recreation. 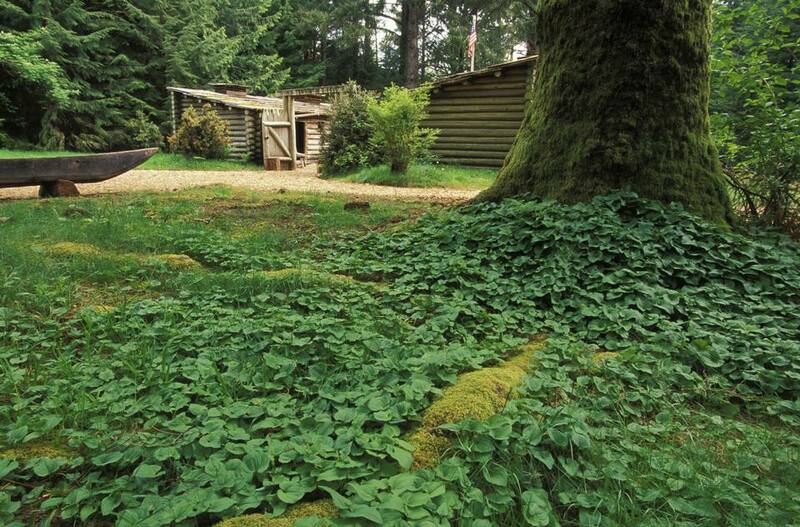 After finally reaching the Pacific, Lewis and Clark and the Corps of Discovery spent several months at Fort Clatsop, a small compound they constructed to survive a difficult winter. Part of the Lewis and Clark National Historical Park, Fort Clatsop focuses on the Corps' activities during those wet and miserable months, including their interactions with the local Clatsop people. The visitor center houses interpretive exhibits, a gift and bookshop, and a small theater. The film addressing the Corps' challenging time from the Clatsop's point of view is particularly interesting. While there you can check out a reproduction of the original fort, take part in living history demonstrations, and hike trails to the canoe landing site. Astoria and the nearby town of Warrenton put on a variety of annual festivals throughout the year, drawing visitors from around the region for events focused on food, sailing, the arts, and more. Flavel House, a historic home and carriage house, provides an in-depth glimpse of life in late-19th-century Astoria. The lovely Queen Anne mansion was built as a retirement home in 1886 for Captain George Flavel, a Columbia River bar pilot, and prominent Astoria citizen. Flavel House has been restored and furnished to reflect life in the Victorian era when Captain Flavel and his family lived in the stately structure. As the grounds are available for private rental, check to ensure the museum is open for when you plan to swing by. Many movies and television shows have and continue to be filmed in the state of Oregon. Prominent among these are The Goonies (1985), Kindergarten Cop (1990), and Free Willy (1993). The Oregon Film Museum offers exhibits include movie props as well as information about what is involved in prepping and filming a movie. The building itself is an artifact; the old historic jail was the set featured in the opening scenes of The Goonies. Don't miss the interactive exhibits, which allow participants to star in their own film via greenscreen movie magic, learn how to be a sound engineer, and take a turn in an editing bay. Astoria's old City Hall building is now the home of the Heritage Museum of the Clatsop County Historical Society. Exhibits feature the native Clatsop people as well as Astoria's maritime and fishing heritage. Upstairs you'll find the "Vice and Virtue in Clatsop County: 1890 to Prohibition", a set of exhibits focusing on a particularly wild and colorful era in local history. Located in the heart of downtown, the Liberty Theater is a majestic venue that originated as a vaudeville theater and cinema in the 1920s. Meticulously renovated to restore the site to its former glory, the building earned a place on the National Register of Historic Places in1984. For tourists, the Liberty Theater is a stunning backdrop to catch live music, theater, or a film.